Although gas fireplaces offer convenience, ease of use and similar aesthetics to a traditional wood burning fireplace, many people have the urge to convert a gas fireplace to wood because they can’t get the full effect with a gas fireplace. 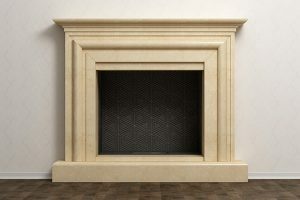 However, there are many very important things to consider when you want to convert your gas fireplace to a wood burning one. Whenever you’re dealing with a fireplace remodeling project, you can never be too safe. So, if you’re one of the many homeowners who wants to recapture the warm and cozy feeling of a real wood burning fireplace, follow our advice and tips below to make sure everything goes smoothly and safely. In order to complete your fireplace conversion project, you must first know what you’re dealing with in your current home. For some homeowners, converting their gas fireplace into a wood burning unit may require much more work than others. For example, some homes are originally built with gas fireplaces in them. In these homes, the fireplace is considered a gas appliance and doesn’t have an actual flue and chimney associated with it. In order to convert these gas fireplaces into wood ones, you’ll need to do a complete fireplace replacement project and have a flue and chimney installed. 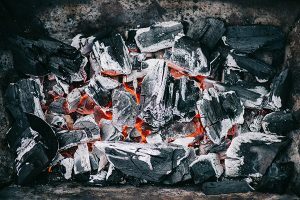 If you try to burn wood in a pre-built gas fireplace, you’ll end up with disaster as the smoke won’t be properly distributed out of your home. On the other hand, you may have a home that originally did have a wood burning fireplace but then a gas operated one was installed to replace it. There is much less work to be done for these homes in order to convert back to a traditional wood burning fireplace. 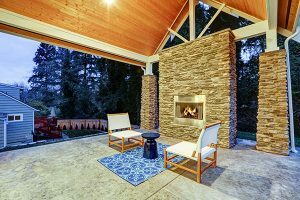 After you’ve figured out if your fireplace can be converted into a wood burning one, you’ll need to check with your local municipality to figure out if there are any building codes and permits that you’ll need to abide by. 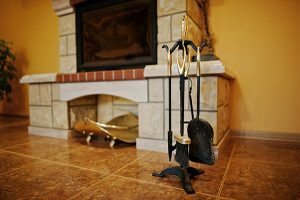 Even if you’re sure that your home is able to undergo a gas to wood fireplace conversion, you should still check because the last thing you want is to have legal trouble on your hands. 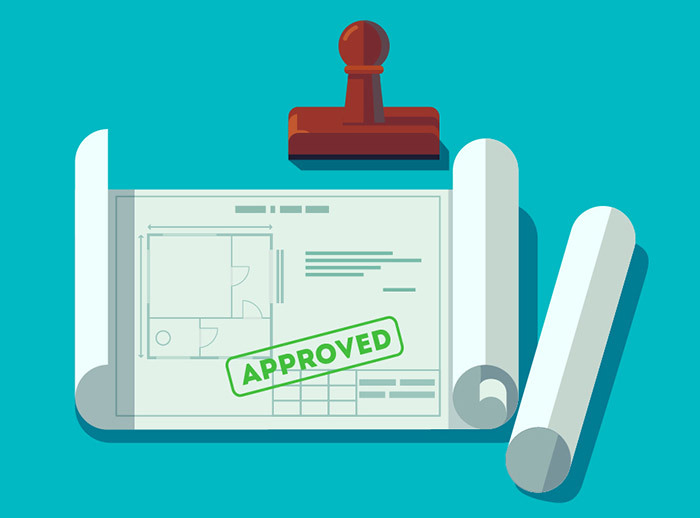 It’s better to know everything before you start investing in such a major project for your home. Homeowners who need a whole new chimney installed don’t need to worry about this tip because your chimney will be built ready to go. However, if you currently have a chimney associated with your gas fireplace, you must have it inspected before you start anything else. The chimney is the most important aspect of a wood burning fireplace so you can’t let this step slip through the cracks. Since gas fireplaces don’t really utilize the chimney, yours may not be ready for a wood burning one just yet. You’ll need to make sure that the brick and mortar, chimney liner, damper, crown and cap are all in good condition. It’s imperative that every part of your chimney is ready to go before you start burning wood in your fireplace again. You’ll also probably need a chimney cleaning before you finish your gas to wood fireplace conversion project. For any inspecting and cleaning needs, you can count on Early Times to make sure your home is ready for a fireplace conversion. Get a free quote now for any of our fireplace and chimney services. 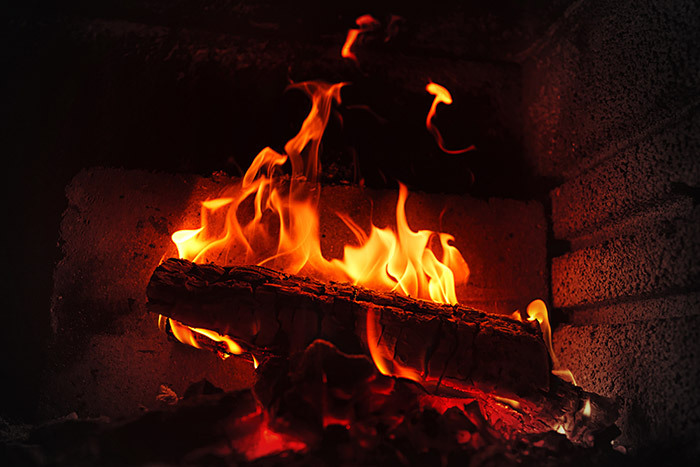 After you’ve made sure that your chimney is in proper condition and ready for a wood burning fireplace, you can finally finish out converting from gas to wood. The only real action that takes place at this point is removing the gas logs and either tapping off the gas line or having a gas lighter installed for your wood fireplace. A gas lighter makes starting fires much easier than manually doing it yourself. Remember, converting a gas fireplace to a wood burning one is a process that takes extreme attention to detail and skill. If you want to convert your gas fireplace to wood, leave it to the professionals so you have the comfort of knowing the job is getting done safely and correctly. During your fireplace conversion project, you’ll need to make sure a number of things are working and that your chimney is properly cleaned. From replacing fireplace dampers to sweeping chimneys, Early Times has been Chicagoland’s go to choice since 1985. We dedicate our services to keeping your home cleaner and safer. Before you convert a gas fireplace to wood, you’ll need to have your chimney inspected. 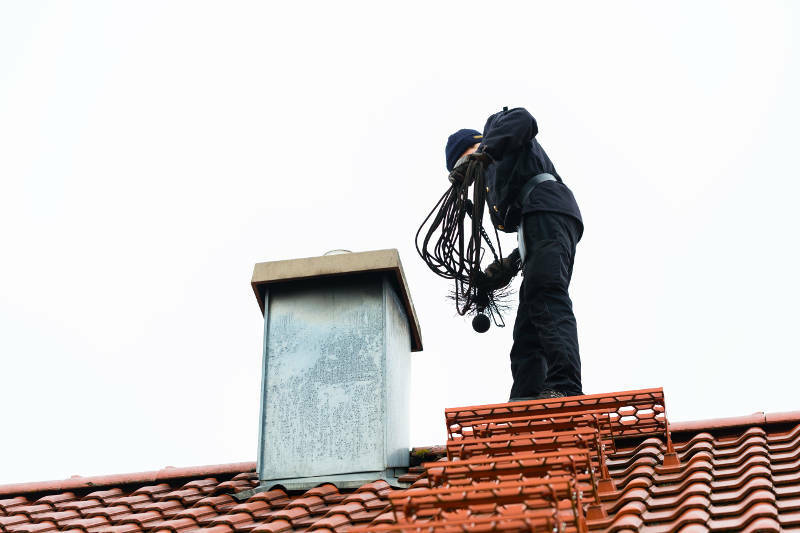 Get a free quote online for your chimney inspection so that the rest of your conversion project goes smoothly.